I am often asked about apps that build vocabulary and am at a loss for an easy answer. Are you looking for apps for basic or more advanced vocabulary? Do you mean semantics instead? There are many terrific apps that can be used to build semantic networks, categorization and description (take Bag Game, Naming TherAppy and Describe it to Me as a few examples), and though these skills provide the foundation for expanding vocabulary, this is sometimes not what the person was asking for. While the above approach aligns with my philosophy about apps, i.e. that they are tools to be used as part of a bigger context, process, sequence of pre-/post- activities etc, it was really nice to find an app that can be used to develop vocabulary by providing content and context within an engaging package. I'm speaking of World's Worst Pet-Vocabulary (FREE!) 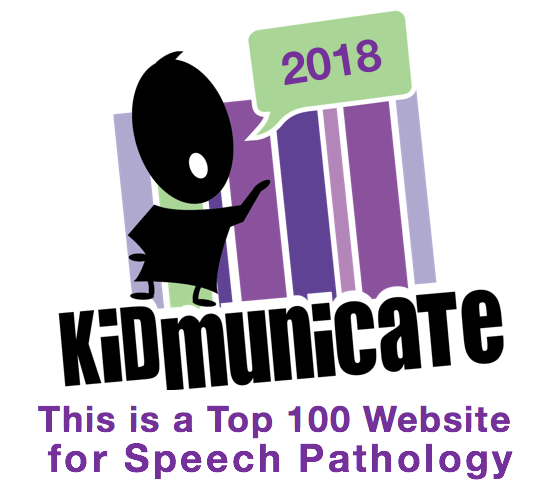 from the folks at Curriculum Associates, which was designed specifically to develop Tier 2 Vocabulary (another concept discussed in Beck's book)- those high-frequency words used by "mature" speakers. World's Worst Pet contains tons of content that can be worked with across 5 grade levels (grades 4-8 are suggested but with scaffolding, this can be used with younger grades in the same way kindergarteners learn Tier 2 words using Beck's approach). The concept is that Snargg, the world's worst pet, keeps bolting and you need to interact with vocabulary to "chase" him through a particular setting (e.g. a bakery) and retrieve him. You move vocabulary words to complete tasks such as matching words to the main idea of "book" titles, finding synonyms or antonyms, responding to questions/categorizing around the vocab words, or identifying examples/nonexamples. Your choices guide Snargg via steps, catapult, rocket, etc in engaging ways, and the app follows a commonly-enjoyed structure of encouraging accurate completion of each level by earning "pupcakes." My favorite part of the app is that the sets of 10 vocabulary words are contextual, related, relevant to real life, and supported by student-friendly definitions (more Beck). The sets include topics such as words about performing (audience, popular, melody, public), words about going places (journey, roam, guide, proceed), and words about the mall (merchandise, extravagant, desire, vendor). The levels and sets give you a place to start for students with weak vocabulary and a structure that might serve you (and them) over several years of instruction. You can challenge the students to complete each set perfectly, and the pace of the game will give you a lot of "air time" to discuss each word and provide additional models. Each level can be a doorway to activities over several weeks, including a suggested writing activity, and can be a topic of consultation with teachers so that there are multiple exposures to the words (as building vocabulary only in the "speech room" can have limited efficacy). EVEN BETTER, you can flip this model and use this app as the context for in-class programming, thereby facilitating vocabulary development in the classroom. Beck's book will give you many more ideas for wordplay activities to provide students with multiple exposure to words! Let me know what you think of this app-it's one of my favorite finds this year. Thank you to Richard Byrne of iPad Apps for School for pointing it out.